Popular broadcast Journalist with Multimedia Group, Afia Pokua a.k.a. 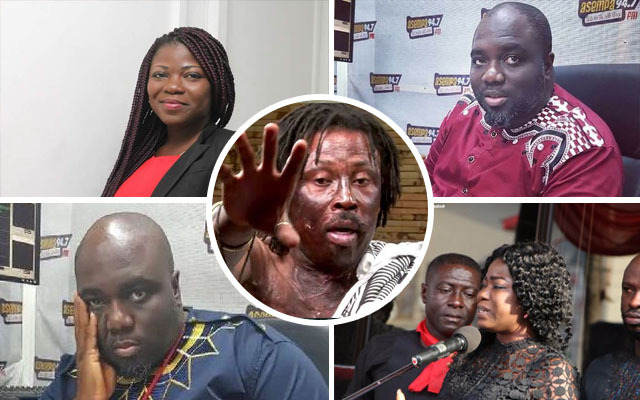 Vim Lady has indirectly suggested that someone might have used ‘juju’ to take the life of Kwadwo Asare Baffour Acheampong, aka KABA. In a Facebook post on Wednesday, November 22, 2017, the outspoken journalist wondered why people still use juju to kill others. She expressed her utmost shock at the news of the death of her colleague presenter Kwadwo Asare Baffour Acheampong. According to what she posted on Facebook, it is clear that KABA was killed with juju and she asked why people kill others. “What do we want in this world? Why do we use juju and evil means to kill eachother and undermine eachother when we came individually? Why? Did God create anyone for anybody? WHY ARE HUMANS THAT EVIL?